Fat Banana is the result of an intense selective breeding project we have been running here at RQS, looking to produce and hone a strain rarely seen. The result is a strain with some uncommon features, likely appeal to connoisseurs, collectors, and growers alike – especially for those looking for a unique stash. 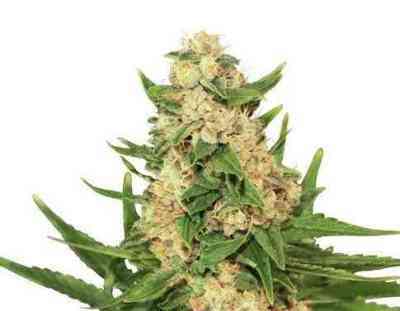 Fat Banana is a prime Kush strain with a genetic background tracing back to OG Kush x Chiquita Banana. It is a heritage with a lot of power behind it, creating a foundation for Fat Banana’s greatness. This can be seen in the potency of Fat Banana’s bud, which can reach up to 25%+ THC when grown with an expert hand. The potential here is great! Fat Banana can yield an average of 350-400 g/m² under a 600w light, and flowers in around 7-8 weeks indoors. 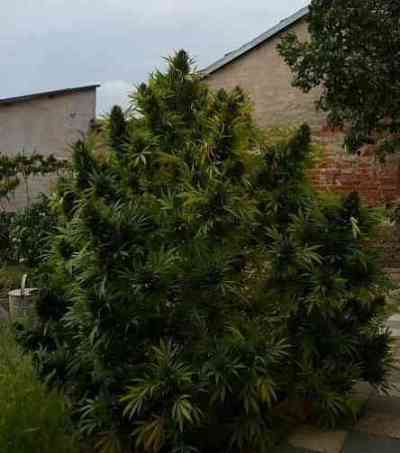 It is worth noting, Fat Banana is an indica-dominant hybrid that could be classed as something of a “stretch indica” given her propensity to develop an enormous long-running main cola if left untrained. Outdoors in warmer climates, Fat Banana can turn into monster bushes that will most likely require support. They will be ready for the chop by mid-September. As mentioned, if you treat her right, the prize is a fat stash of chunky nuggets with 25%+ THC and a sweet, fruity, banana aroma. Fat Banana is the Kush nobody saw coming. Mild initial euphoric effects and a mouth-watering sweet fruity flavour could fool you into overdoing it with this unusual strain. However, it is potent! A powerful physical stoned sensation will begin to creep up and take hold sooner or later, followed by an unimaginably relaxing experience. Prepare for the munchies - this is a trip to flavour country that begins and ends on the couch. When it comes to flavour, Fat Banana has a sweet taste that contains hints of citrus. 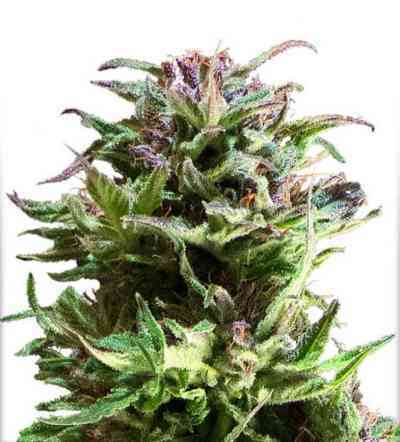 As mentioned, the aroma the bud produces is reminiscent of its namesake, making it a treat for the nostrils.